Who said a bed is just for sleeping in. our high quality cabin beds features, fun play tents, towers, tunnels and slides all add to the magic but are designed as great space savers. 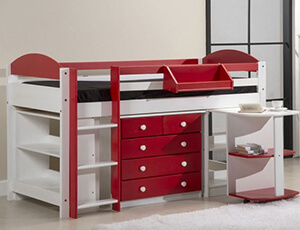 Under cabin beds drawers, storage units and pull out desks can all be included to suit an older child.